Well, the calendar has been flipped and here we are in March. The sun is shining and while the wind is brisk, hope for Spring is on its way. Spring blew in our door yesterday afternoon when we received a new collection of Spring themed jewellery from Swallow and Twig. The amazing and unique Swallow and Twig was one of the jewellery lines we couldn’t keep in stock during the holidays so we are really glad to have some great new items to grace our cabinet. 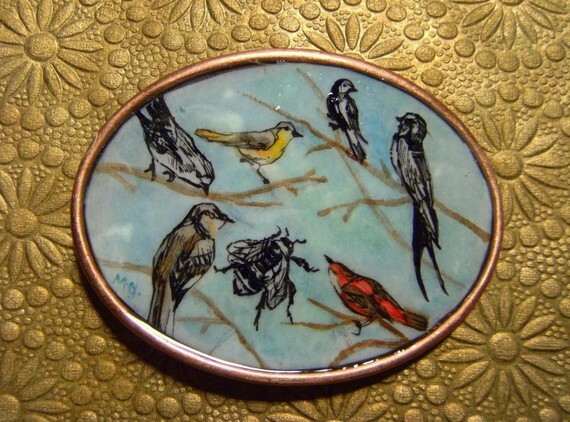 Swallow and Twig is a local artisan jewellery line from Mary Garoutte. Her teeny tiny minature watercolour paintings are coated in resin and encased in jewellery fixings from earrings to necklaces to cufflinks to rings to bottlecap brooches to belt buckles – oh my! They are stunningly gorgeous and beautifully affordable. 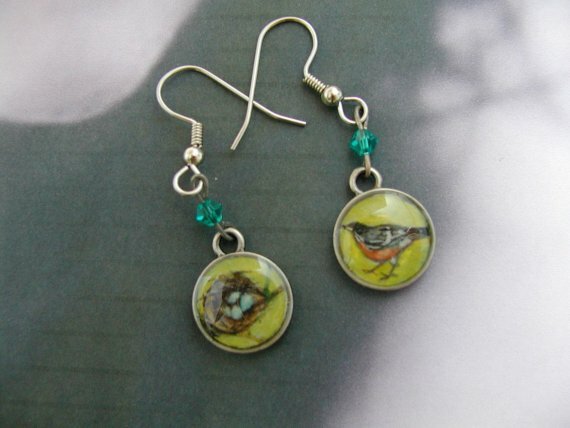 Swallow and Twig’s Spring inspired pieces include birds, nests, bees, flowers, hot air balloons and bicycles. Ah Springtime. If you are needing a bit of Spring hopefulness, stop in and lose yourself in the charming and sunny world of Swallow and Twig.